HOT NEWS: Chinese Buying 18% of Sydney Property… Seriously! You are here: Home / Blog / HOT NEWS: Chinese Buying 18% of Sydney Property… Seriously! A leading investment bank is tipping that Chinese demand for Aussie property will double by 2020. It’s already one of the key drivers of the market, fuelling exceptional price growth in some areas, but how do we make sure it’s a win-win for everyone? We forecast Chinese buying power will increase as the economy develops and the population becomes wealthier. They purchased $24bn of Australian housing over the past seven years; we forecast they will purchase $44bn over the next seven, to 2020. Yep. You heard right. Chinese demand is going to double. It’s already one of the hottest talking points – the BBQ stopper – in Aussie property. It’s already one of the key driving forces behind the property come back (though it’s important to remember it’s not the only one!). And Chinese buyers are already becoming the scapegoat and whipping boy for first-home buyers cruelly priced out of the market. But you ain’t seen nothing yet. As I’ve noted a few times, part of the problem is there’s a real lack of quality data on this issue, which together with sub-tones of racism and fanfare journalism is a dangerous cocktail. So Credit Suisse have done their best to pull all the threads together. But as they say, there’s a bit of guesswork involved – and their figures probably underestimate things. Australian Bureau of Statistics! This is your Lone Ranger moment. But cutting it all together, they estimate that the Chinese are currently purchasing more than $5bn of Australian residential property a year. To put that in perspective, that’s 12% of new housing supply (we don’t have data on existing supply!). That’s some serious influence. Almost one in eight new homes are being sold to the Chinese! As we know (or as the anecdotes and hear-say being passed off as facts in the media have told us) Chinese buying is concentrated in Sydney and Melbourne. The Chinese account for 18% of new supply in Sydney and 14% in Melbourne (check out the chart). It’s bigger than I expected in NSW (18% – almost one in 5 is huge! ), but it’s less than I thought in Queensland. Queensland’s on par with SA… around 7%. Does that sound right? It’s kind of surprising, given we’ve heard a lot in recent times about the natural affinity the Chinese have with Queensland. I suspect it’s got to be understating things somewhat – though remember this doesn’t include established housing so that might be part of the story. Credit Suisse then try put a number on future demand. They estimate that there are currently 1.1 million Chinese that could easily afford to buy an apartment in Sydney. They expect this number to increase by 30% by 2020. 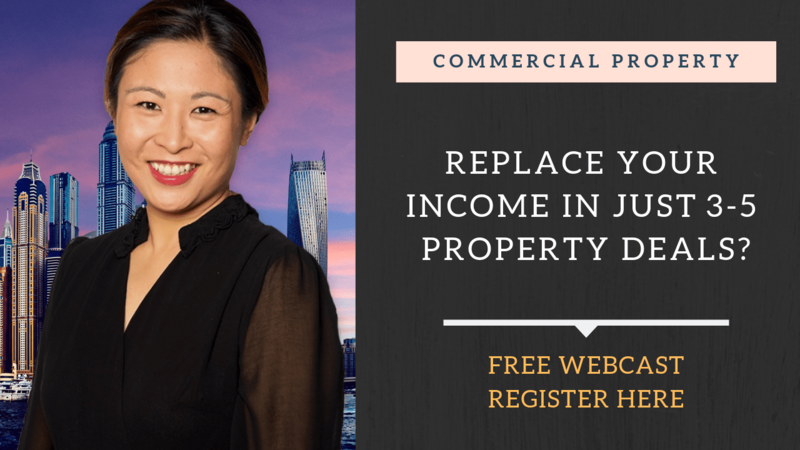 With the Chinese growing wealthier and wealthier, and as the routes to Aussie property (Chinese language websites, special concierge services) become more and more established, this opens the way for Chinese demand to double in the next 7 years. And CS expect we will sell another $44bn of property to the Chinese by 2020. It’s enough to give you the impression that China is the biggest story in Aussie property right now. And maybe it is. But that means that China will be the fall-guy to anything that’s wrong with Aussie property – from affordability to housing density and urban sprawl. And you might remember a few weeks ago I was writing about the Significant Investor Visa – visas granted to foreigners as long as they promised to park their money here. Recent figures showed that 65 SIVs were granted in 2013 – 59 of which were to Chinese citizens. That’s over 90%, and it starts to look a little strange. Are the Chinese the only people who want to take advantage of that visa arrangement? Or are we actively pushing for Chinese citizens in particular? And without an answer to that question, it’s easy to make that case that government policy is actively targeting the Chinese and “selling out our youth to the rich Chinese” as I heard one commentator put it. The fungus of intolerance and hatred grows in the dark corners of ignorance and insufficient data. But there is an important opportunity here. As I’ve written a few times, Australia continues to struggle with bringing enough new housing supply to the market. If the surging Chinese demand can be channelled into new supply (rather than existing dwellings), this can only be a positive. And if we can demonstrate this clearly (and a fact like “18% of new dwellings in Sydney are thanks to the Chinese” is taking us in the right direction) then we can make the case that the Chinese investment is helping to ease the demand supply imbalance and might actually make housing more affordable. But to do this properly, we need better data. We need a clearer picture of what’s going on. Because without it, the real danger is the spectre of “foreigners buying all our homes” becomes an election issue and we get some poorly thought out, poorly informed knee-jerk policy response that shuts the whole show down. We’ve seen it before. We’ll see it again. As a retired finance broker who dealt primarily with setting up clients with investment properties for their retirement I have come to the conclusion that as far as the average Aussie mum and dad goes there is a significant fear in their minds against buying investment property. If we could change this mind set, that literally freezes them on the spot, re purchasing a property, or 2, then we would not have this problem of our houses selling to overseas buyers to the extent, percentage wise, that it appears now to be. We are so lucky in Aus. to have a real estate system that allows us to make a big bucket of money from it. In America for example it takes 20 years on average for their real estate to double. The headline is misleading. As mentioned in your context “The Chinese account for 18% of new supply in Sydney and 14% in Melbourne (check out the chart).” that is 18% of NEW properties in Syd, which are mainly off-plan or recently built apartment and townhouses. Compared to much larger number of established houses and units put on sale or auction, it is definitely not 1 in 5 of all properties on Syd market. Foreigners have rare impact on prices of low and median range established properties. The key momentum in this round house price increase should be those upgraders and downsizers, most of which are locals. And this is just a normal demand-and-supply game. Most of foreigners only can buy offplans or newly built properties through FIRB process and these properties are only very small part of the whole market. Some of very rich foreigners may show strong interests on 3M+ or 5M+ high-ends, but I am afraid most locals just cannot afford these mansions no matter there are foreign purchasers in competition or not. It is not the fear of people buying property.The real fear is our banking conditions and the new legislation that took affect on 12th of march that you will see this stuff up not only in business but consumers…It’s hard enough now for FHOG buyers to buy anything let alone if they get registered for an overdue bill that they forgot to pay..The banks are the big problem right now.And our Stupid laws they create.Please let me ask you how is one individual supose to borrow when the chances are they will be registed on VEDA for not paying their utility bills even on time..Banks do credit checks these days befote they aprove a loan….There is no hope in hell that australians will end up with a home with this new legislation on businesses being able to register everyone if they are late in paying a bill…Plus they require huge savings crystal clear credit report, high income to lend funds…It has started to affect many already….This being said businesses will strugle also because average mum and dads will not be buying as much….I see this system fail big time…And yet many have no idea this has become an affect since 12th of March…….I can only imagine how many thousands of people will br slammed by this..Which will affect borrowing funds to do anything in the future…Surely there’s properties for sale…But with banks not lending and new legislation properties will be sitting there for chinese or other foreigners to buy…This will affect peoples future as these legislation should not have been passed on….Consumers will be registered up to 5years…There should be a system that needs to work for people that default and not get registered so quick….Some of us are busy and have hundreds of bills to pay..And we will pay them..But being late a day gives them the right to register…Imagine people that are on holiday yet they come home bills to their neck and yet have no idea they have been dobbed to the credit agency…. If the Chinese are responsible for buying new homes, then all the existing homes are available to locals. I do not believe the new homes created will eventually be available to locals as the Chinese like to ‘park’ their money in real estate and leave them empty. I think most people who really want a home will get one. My daughter got one at 20 yrs old. she rents it out and the equity is building up every year until she will be able to afford to live in it. Interest rates are so low, many properties can be purchased and the mortgage will be covered by the rental income. The new rules regarding people not paying their bills on time and getting a bad credit rating applies to certain bills only. They are credit card payments, hire purchase charges and bank loans. I may have missed a payment in the past for electricity or water, but not for any of the these…………………… (I currently pay bills for five properties). Most banks demand a bank account number to debit all loan repayments against. All you have to do is to ensure you have enough funds in the account. I pay my credit card as soon as I get it by post dating the payment via my bank. When the date comes around, it automatically gets paid. None of this is rocket science! Hi Eileen, How did your daughter managed to get a mortgage at such a young age and what % of the cost was her deposit? Also does she work full time or is she at Uni? My husband went guarantor for our daughter, (something we would never recommend unless you trust your children implicitly). She had no deposit and (from memory) borrowed the costs also. She qualified for the FHOG, (stamp duty waived and $7000 to live on). She lived there for six months and later rented it out. Two years later she refinanced, (when she invested in another property) and the guarantor status was cancelled, as she changed banks. The interest rate is decreased the more you borrow. Two years later she has invested in another property. She’s now 24 yrs. These interest only loans are so good, we’ve warned her about the ‘good old days’ of 18% interest. She has cushioned herself with savings, so much so that she bought a new car for cash last year. She has a weekly budget for everything and knows where all her money goes……she has to! Not bad for someone working full time in retail, (with qualifications) but no uni fees over her head. The more she saves, the more money’s in the offset account. This reduces the interest paid per month while her savings are still available for emergencies. The original home has approx $150k equity. When you have equity, the banks lend more money. She has no intentions of selling anything ever! No capital gains tax! I hope this answers all your questions? Genuine first home buyers, our kids, need protection from excessively inflated prices. Agreed. We need restrictions on Chinese purchasing Australian property. Fungus of intolerance and hatred? The racist card: the last card of the scoundrel. Really? So you are happy to see locals priced out of the market then? Is that it? Let play this in reverse, do Asian countries allow foreigners to buy large swathes of their domestic housing? do they allow foreigners in on 457 visas to drive down local wages? These sales are a leg into Australia so they can settle here. Their children then compete against local kids for scarce university spots and are now displacing local kids out of their own selective schools – but lets not talk about it eh? That might be racist right? I know of at least one heritage listed house in Melbournes east with a guiding price range of 600,000-670,000 go for $900,000 at auction to a chinese buyer. They even have ways around the heritage listing of the house now so they are up fit grabs. It bumps up the price of everything in the area on question too. I’m being priced out day by day! Ben, I’m Australian and I own four properties overseas and none in Australia. There are plenty of foreign buyers across Asia, Europe, the Americas and elsewhere. If your kids didn’t make it into a selective school, then it was because they didn’t get the grades, not because of Asian students. Likewise, university entry is based on a grading system. If you don’t get the grades you don’t get into your course, no matter what your background. North Americans (Canadians and US citizens) purchase double the amount of property that the Chinese purchase, yet it is not a topic. The 65 SIV Visas that were issued last year (59 to Chinese) is such an insignificantly low figure. Imagine showing up to a concert at the Opera House with a room full of only 65 people. That would be an empty room. Now spread that room across Melbourne and Sydney. These headlines are easy fodder for the masses and distract from the real economic policies which create our housing market. Grades are irrelevant. Asian immigration has created immense competition for scarce places and that is unacceptable. While you may own property- Australians are not flooding Asian countries and taking over their educational facilities. It is undeniable that Asian children have taken over selective schools, and are the progeny of Asian professional classes. Something with which has now excluded Australian students from their own schools. This is acceptable to you is it? Asians buy in catchment areas of selective schools- & the Holy grail- the schools that charge no fees. The issue of Canadians/Americans/ etc, Where are they? Asians have basically taken over whole suburbs, including the one I live in. Unacceptable. Americans and canadians? Fodder for the masses? They don’t need fodder they are seeing the results in front of their eyes daily. The racist ‘Asian Invasion’ is a policy of genocide supported by Labor and Liberal. The Australian people are being replaced, ethnically cleansed from their own suburbs by hordes of Chinese plundering our real estate market. It is insane to believe asset inflation is good for the country. Not only do ‘asset bubbles’ lead to inflation but will lock out an entire generation of Australian home buyers due to preference given to foreigners primarily Chinese intruders. Thanks to Rudd changing the rules in 2009 and Labor increasing Chinese immigration, we now have foreigners who are stealing our property, stealing our jobs, stealing our university places and ultimately stealing our future. Allowing Chinese nationals the right to purchase Australian property is economic suicide. The colonising Chinese racists are not welcome! Some contributors are plainly emotionally overcharged. Chinese is singled out disproportionately to the numbers of investors participating in the property market. In a free society they have a right to conduct themselves legally in the market. If you do not like to sell to foreigners then don’t sell to foreigners, not just the Chinese. If you like foreigners’ money sell to foreigners, not just the Chinese. And do not call them thieves, hordes or intruders. This is blatantly uncultured, rude and racist behaviour even if you are in denial. What about New Zealanders, British, Americans and Canadians? Do they colonise other countries? Josh and Ben: The British did colonise other countries!! They used to send their convicts to America and had a bit of a war with them called The War of Independence. They then sent their convicts to a place to be known as Australia and look what happened to the indigeneous population here! America will go to war with any country that interferes with its economic needs (Iraq) and remember, they used to bring in slaves from Africa to serve as their workforce…….and I don’t think the Africans were too happy about it either. New Zealanders don’t need to invade anyone…..they just migrate here because we provide all their welfare needs that they require!!! Look at all the countries England has invaded over the centuries to further their economic dominance, religious dominance and social dominance. All that resulted in blood and guts and massive destruction. That sort of takeover doesn’t need to happen now when a country can take over another country by stealth. Slowly but surely the Chinese will price our kids out of the property market as they gradually gain control of this country economically, socially and politically. I forgot to mention in my last post that I don’t agree with selling land to anyone outside of Australia, regardless of their country of origin. Unfortunately the Racist issue is a sticky one.. Anyone genuinely concerned with the hordes of displaced people all over the world who eventually end up in their country putting a lot of stress on existing infrastructure, jobs, welfare and etc., funded by their collective taxes, are automatically charged with being racist. Perhaps it would serve one better to look at the bigger picture and see that the problem is created at the top by a cadre of Ruling Elites using various ways and means including the numerous wars all over the world to purposely create the situation in the first place. Indeed one wonders what the purpose is? To cause so much friction and unrest by throwing everyone into a great big melting pot? And unlike what the song suggests; it doesn’t look like a good outcome! Superficially the concern might be about the Chinese buying up Aussie property, however by the sounds of it, the symptoms of concern go much deeper than that. Perhaps it’s time for all “true blue” Aussies to stop whinging and start doing what it takes to change things to be fair and equitable for everyone, including housing, which after all, is about putting a roof over one’s head that everyone has a right to! It might also pay for people to remember that “they the people” have the collective power to change things for the better and not just leave it to government to decide for them and then whinge about it. Act while you still can.. Speak while you still can! and no once can protest. Population of China is 1.3 billion people. Population of Australia is 23 million people or about 2% of China. Number of rich people in China is bigger than population of Australia. If the smallest part of them is going to buy property in Australia the prices will go up significantly and youth will not be able to afford property regardless education. The greedy developers, investors will rebuild all houses in the best suburbs with houses perfect for foreigners. Our government will support them. The rich Australians according to Australian standards or poor according to Chinese standards will be forced to move to worse suburbs and pushing prices up there and etc. The middle class will not be able to afford properties or they will need to travel the very long distance for work. Our economy will be restructured as hospitality economy for foreigners. Our government has already killed IT industry, retail, car manufacturing and etc. I can’t see any future for kids in Australia if they don’t want to work in hospitality industry. This process will be as snowball. A little bit in the beginning and unstoppable later. Prices will go up for everything. Even if our government decides to change something later it would not be possible because international laws and our dependency on China and etc. The lucky country will never exist again. Our country will not be affordable to us. Very sad! After reading the above comments I have come to the conclusion that the Chinese are a lot smarter than we are. Maybe we should smarten up a bit. Ditching the negativity would be a good start. As for our children maybe we should be teaching them how to make money instead of how to be good workers. Are there any courses in our education system that teach wealth creation? (or even simple money management). We should all be building apartments and selling them to the Chinese,then when the chinese economy collapses as some are predicting our children will pick them up for nothing, ha ha. They are all rabbit boxes anyway, they can have them. Carl, I agree. It is about the way we look at issues. It is knee jerk reaction in any market to disallow entry to some cohorts because of the increased competition. But, does it need to be competition when it is a mutually beneficial interaction that results in a win-win? If Australia needs to welcome immigrants why not invite those who will contribute to building up the country? Get them to pay their way for the additional infrastructure that needs to be in place and create employment and wealth in the country. If you are stressed about immigrants competing with your kids, immigrants can also increase demand for infrastructure and consumption, leading to more jobs and opportunities all round. Australia has the opportunity to manage the migrant input, it need not result in a dysfunctional melting pot. Those who see the opportunities will reap the benefits, just as those who built properties and sold to the new immigrants are reaping. While the pessimists, the optimists and the realists are indulging in a whinge, it will be the opportunists who will have the cake! great article! what is your opinion on this article? idiot, you get the money, and you lost your homeland. and “Australia is rich”, yes, everything is 2X 3x times more expensive. then you may lost your heads after that.